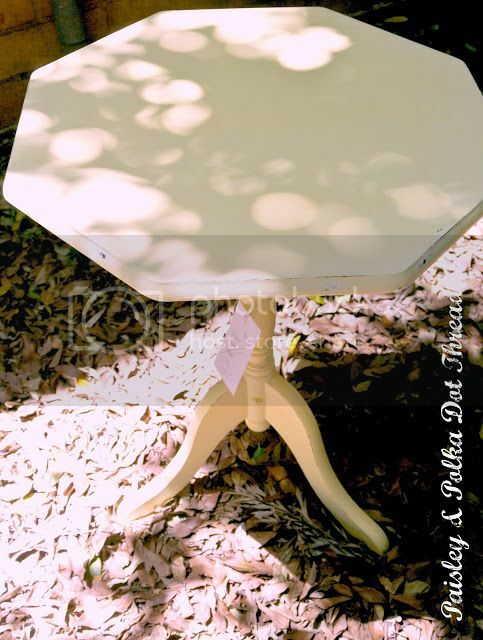 ...so when I picked this little table up at my local auction house I thought she would be perfect! Unfortunately I forgot to take a before photo, but essentially she was just brown ;) When I got down to it I decided that I had gotten the wrong yellow, and then I had second thoughts. I'm SO glad I got over them! These photos were all taken at my market stall over the weekend, so apologies for the lack of styling. She had actually sold when I realised I hadn't taken any photos at all! Lucky for me her new owner was keen to check out the rest of the market and pick her up on the way home, so I could quickly snap a few pictures. I think the colour makes this perfect for a little girls room, however her new owner was telling me about a very gorgeous sounding sunroom that she will move into. And what made this little table unique (well, I haven't seen it before ;) ) was a little latch underneath that unhooked one side of the table top, so you could lift that side up to be vertical and store her away. So perfect for small spaces!! And now I'm off to sort through my stuff from the market - I had a great day, but I'm so exhausted!! I think I might be down for a nap when little Harry goes for his after lunch! 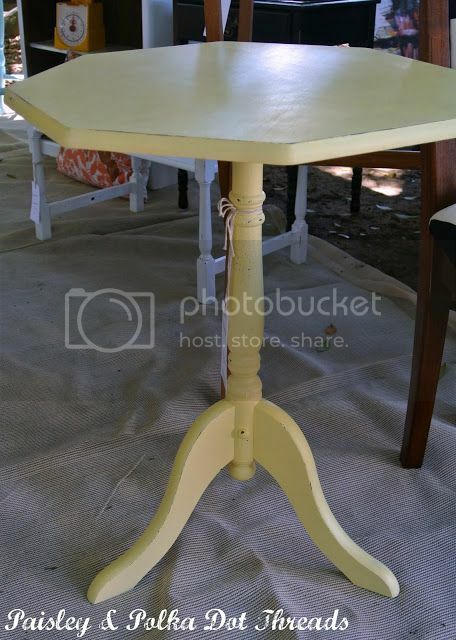 it's the perfect little table for yellow! lovely and happy! so glad you had a great day at the market!! ive got mine this saturday - hopefully ive got enough stuff!! I love it although I honestly don't know how you find the energy! 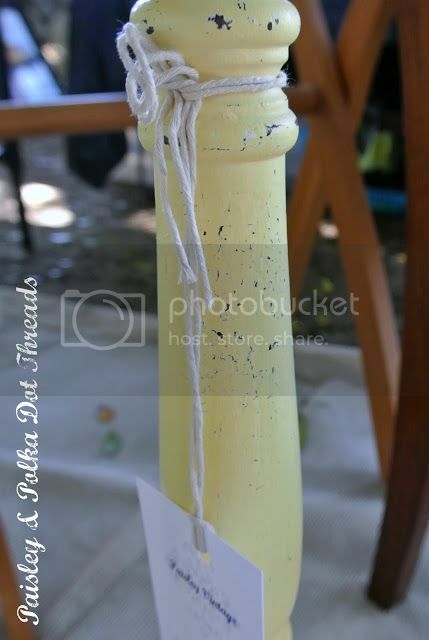 Looks lovely, I was thinking yellow for a piece I have to makeover, just have to go and find some paint! I go through yellow phases occasionally too, such a happy colour. The table looks awesome, no wonder it sold straight away! What a pretty table! Congrats on selling it so quickly! I nominated you for the One Lovely Blog Award, come check it out if you want to pass it on! Thrifty Thursday #3 - Vintage Plates!